Hi! I'm Kathryn, and I design for My Memories. Welcome to my fourth round of my scrap series, From A to Z! 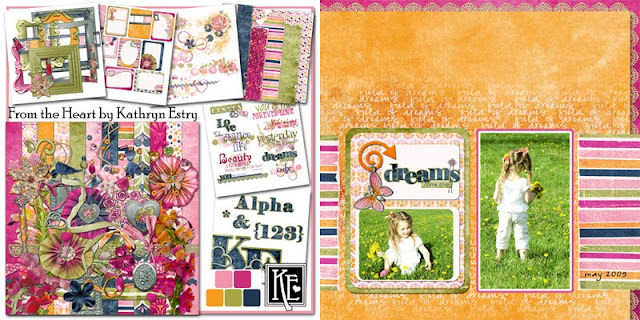 With every post, I'll show you a style, element, or other scrap secret to make your pages look amazing. The talented ladies on my Creative Team give me plenty of inspirational layouts, and I'm happy to share them with you! I know you like FREE scrap supplies, right? I'll show you a couple of layouts in each of my blogs posts, and I invite you to try some of your own! Post your layouts in my matching Challenge Thread, Scrapping with Kathryn from A to Z. Everyone who posts a layout in this month's thread will receive from me the prize I have posted with this month's challenge. To make it extra sweet, your layout can be about anything I've shown you in ANY of my A to Z challenges! Now, on to today's idea. 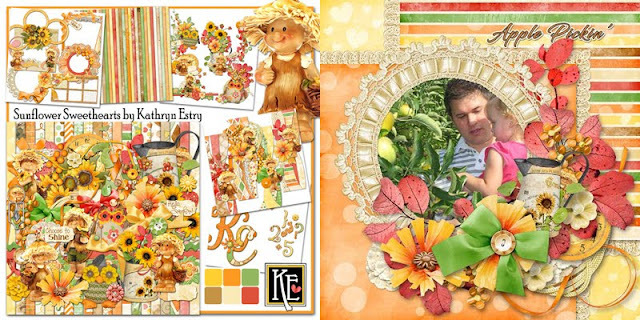 When I think of layouts where orange is the primary color, I think of fall and pumpkins. Here are examples where you might use orange throughout the year. A big thank you to Liz, Monica, and Kabra for the use of their pages. In this last one, I scrapped a photo of my husband after he fancied up the landscaping at my daughter's home. This kit worked well for him as it was created to show off the beautiful bowl he created using santos mahogony, other hardwoods, and gemstones. 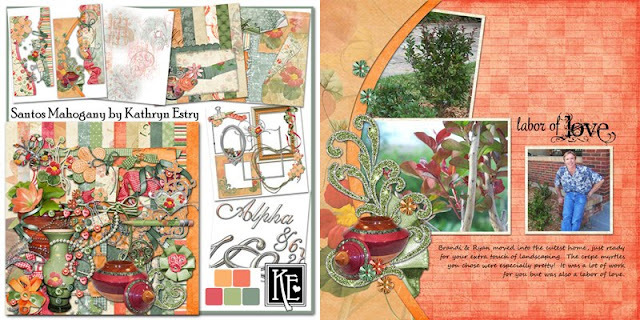 Remember to head over to my A to Z Challenge, check out the prize, and show me a layout where YOU've used orange as a main color.